Good morning, I hope you all had a wonderful weekend and got to enjoy some Spring sunshine. 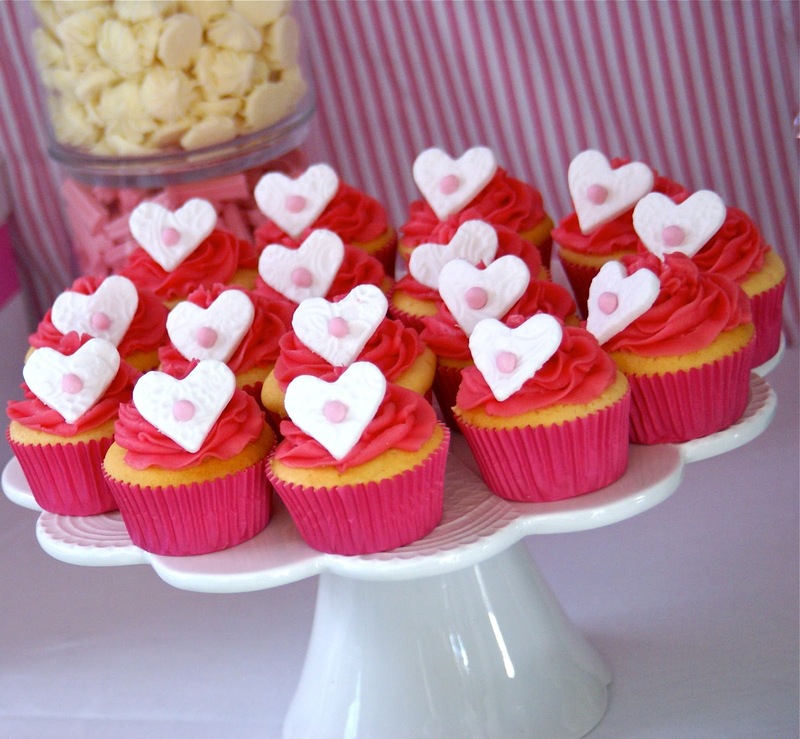 I also hope all of our readers celebrating Mother’s Day yesterday had a fabulous day and were spoilt rotten. 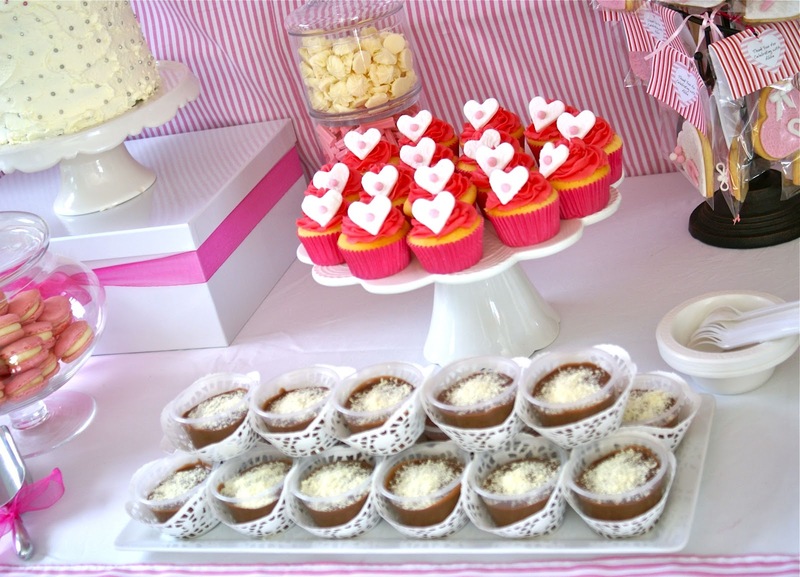 Today I am thrilled to share a beautiful party from The Inspired Occasion in Australia. 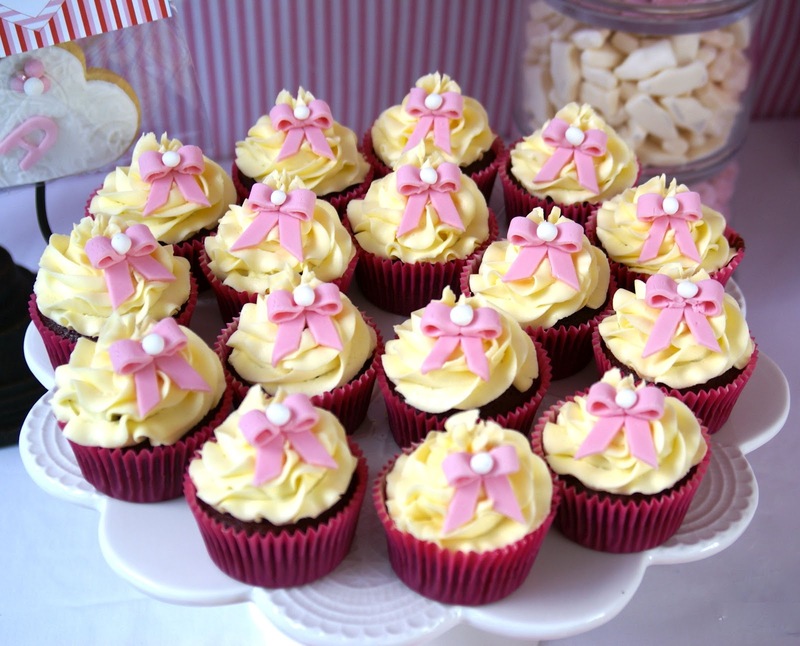 This is a very pretty pink party for their clients daughters first birthday and christening. I will now let Alex tell you more about this lovely party. The occasion was a joint Christening/1st Birthday celebration. 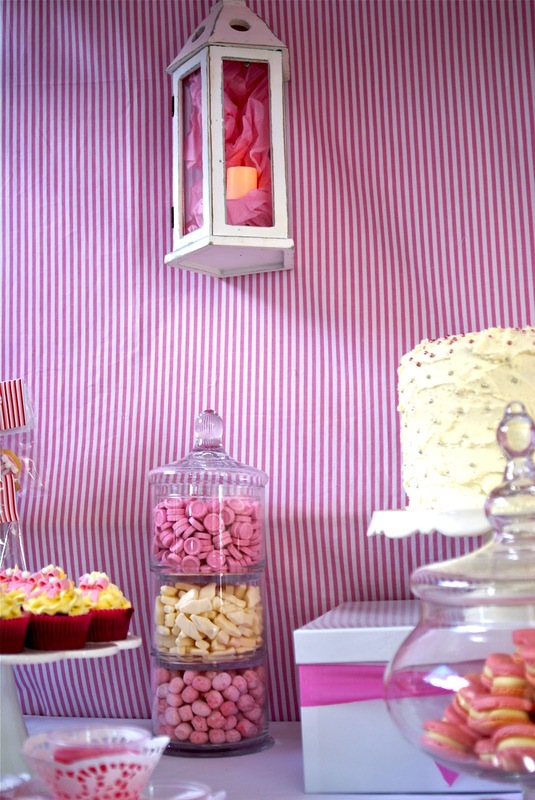 The client chose a very girlie colour scheme of pink and white and wanted a pretty and whimsical design. There were 45 guests, who all attended the Christening at the local church before coming to the private residence for the celebrations. The Inspired Occasion managed the event, organising the spit roast catering, food service staff, crockery and silverware requirements, as well as table, chair and linen hire. In keeping with the client’s chosen theme the tables were dressed with white table cloths and matching runners with lantern centrepieces. We also provided a number of other hire items for the client to utilise such as our large silver drink tubs and bench seating for the children. 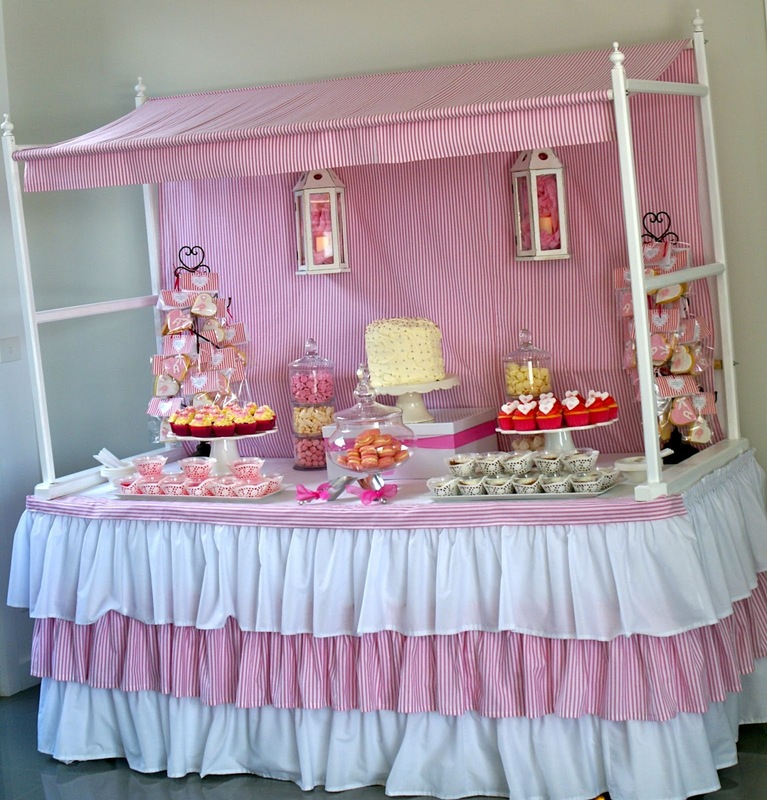 All dessert station edibles, stationery and themed items were made and designed in-house, with even the pink and white dessert station and canopy constructed specifically for this event. The guests were served a hearty roast buffet lunch consisting of roast beef, chicken and pork with roast potatoes, and a selection of salads. 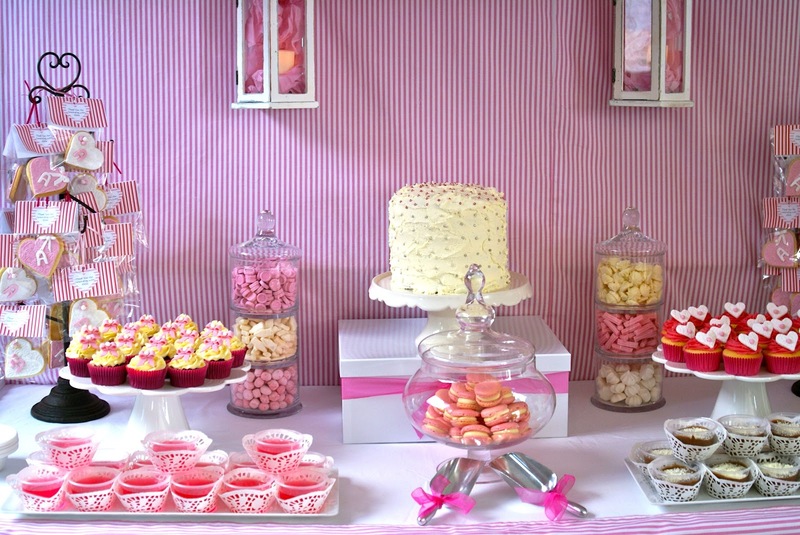 The dessert station was completed with two cylindrical jars filled with assorted pink and white candies, and two hanging lanterns with flickering candles under the backdrop which matched the lanterns centrepieces on the tables. 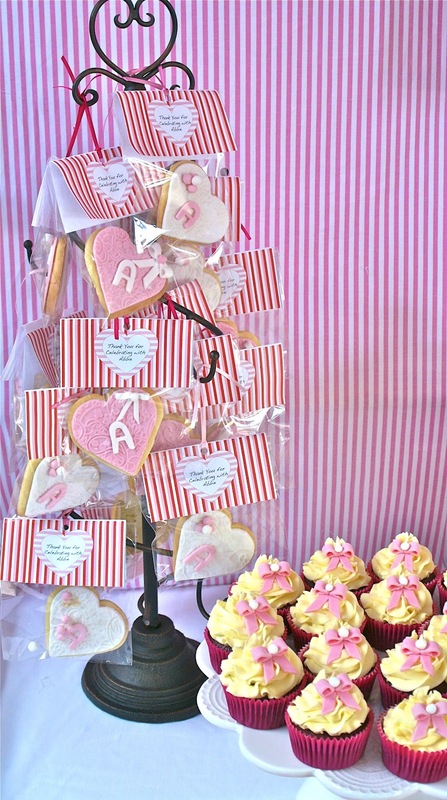 As a take-home thank you gift from the client all guests received a personalised bagged sugar cookie in a heart shape. 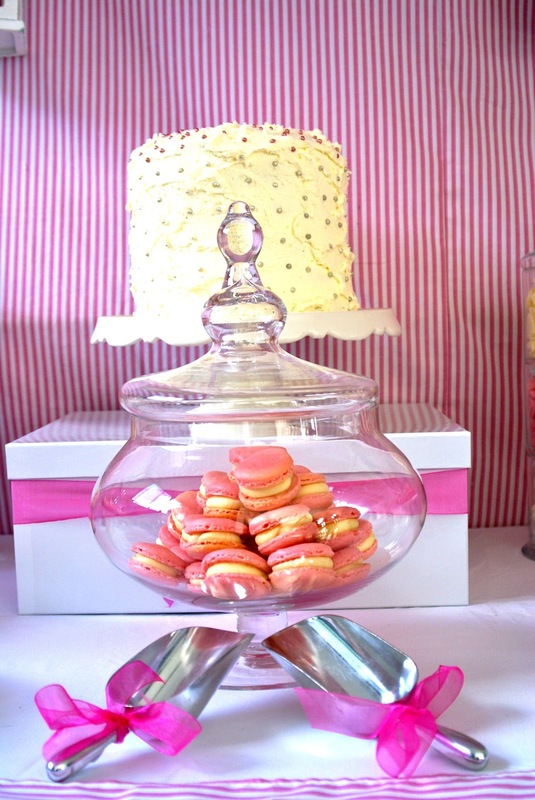 The client made her own birthday cake, which was presented on our cake stand on a riser. The cake, once cut, was a beautiful rainbow layer cake finished off with white buttercream and pink and silver cashous giving the table a finishing touch from the client herself. Thank you so much Alex for letting us share this party with our readers, it really is very pretty and those desserts look delicious. 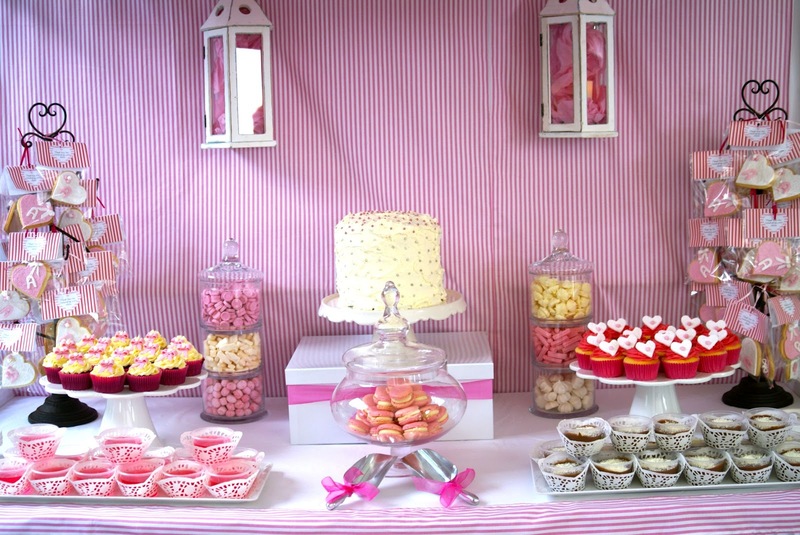 I love the pinstripe fabric canopy & skirt on the table, it really does make this dessert table very special.